Because of Henry I have one of the cleanest clocks in the world. Gets cleaned every few days. SHAZAM! AND BAM! HENRY!!!!!! 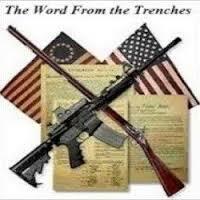 Powerful truth…..read the Papers people Read and know our Bill of Rights….soooo simple and PERFECT! we are THE AUTHORITY! 100 % agreed mary! Than you Henry. Comments are disabled on the video about the Bill of Rights. This tells much!! Listening to Henry regarding the 10th Article of our Bill of Rights brought to mind the income tax. It is forbidden federally to lay an income tax on those of us that do not owe it, so it is also forbidden to the states to have a state income tax. Deal with the income tax at the federal level and the state income tax stops. This is the 10th Article in operation, straight up!! I’m listening to this again and it’s great!! galen, I’ve got you to thank as you had that video posted and thanks again to Henry for smashing the video to pieces with the truth of what our Bill of Rights is absolutely. Again, first thing I noticed was the disablement of comments. I went to the youtube channel that it came from and clicked on a random video and the comments were disabled as well. Source: As the highest law of the land, the Bill of Rights must be enforced. Any official, appointed or elected at any level of government and guilty of any violation of an individual’s rights under the first ten Amendments, must be arrested, tried, and punished.